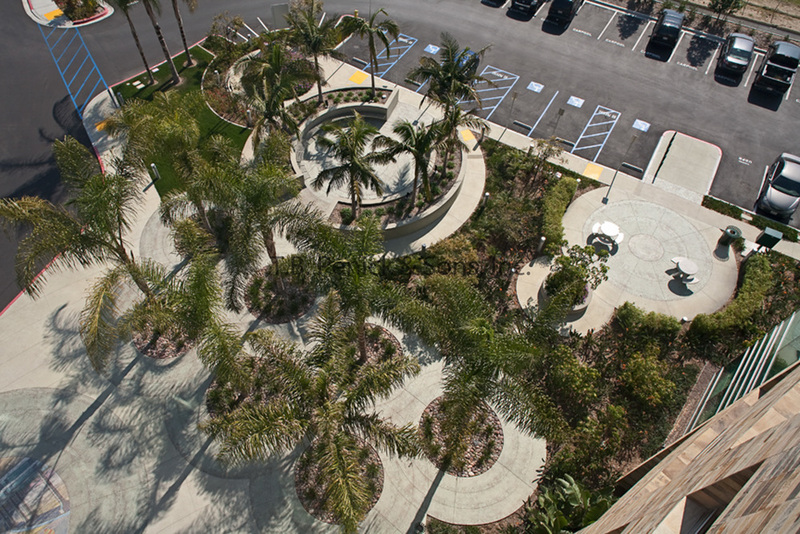 Designed by San Diego based H2A architects, North Island Credit Union’s new 6 story, 130,000 square foot headquarters in Kearny Mesa, incorporates many “island-inspired” elements as well as an array of environmentally friendly features. In accordance with the “The Island” theme, the new building sits on a landscape consisting of palms and other tropical plants. 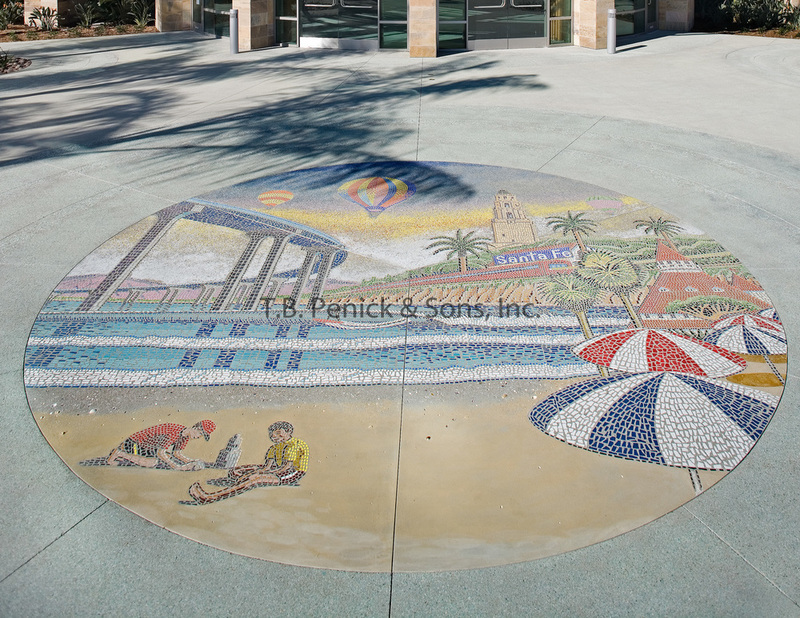 The front entry plaza features a 20 foot diameter Lithocrete Litho Mosaic™ designed by artist Wick Alexander which depicts scenes of the Pacific Ocean and San Diego landmarks: Coronado Bay Bridge, Santa Fe Rail Station, San Diego Missions and Hotel Del Coronado. 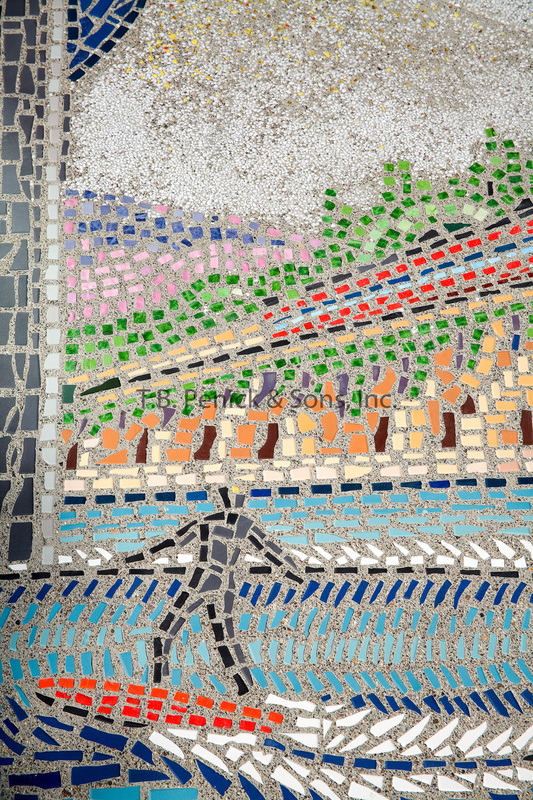 Mosaic tiles from Cuernavaca, Mexico and around the country were placed into the freshly poured concrete to create this in-ground sculpture. 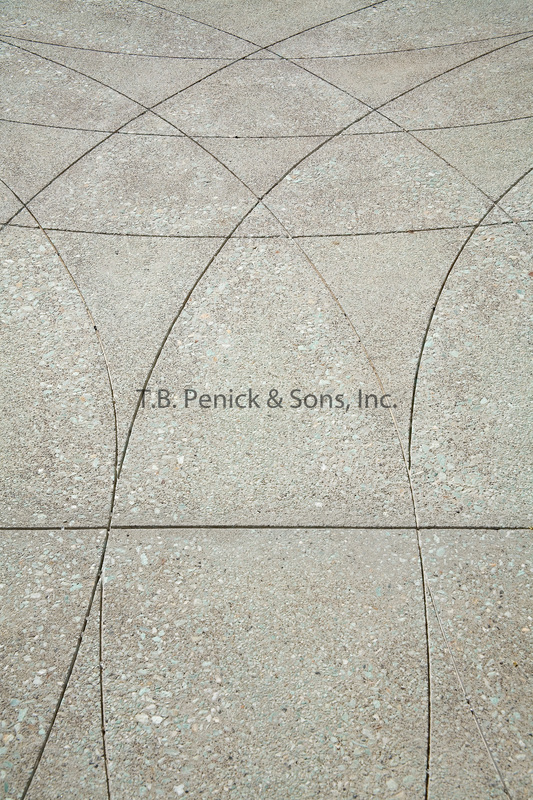 The plaza also features Lithocrete® flatwork in an intricate saw-cut pattern seeded with a light green aggregate of different sizes that to resemble the breaking surf. The same aggregates are utilized on the architectural walls and carried through to all six lobbies, and elevators in the HD Lithocrete® floor. 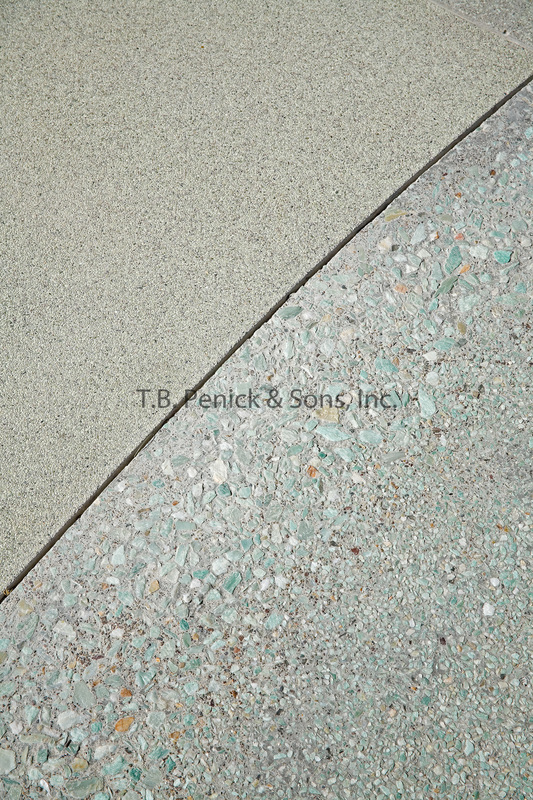 The 3,000 square foot main lobby has a complex and precise layout of terrazzo strips in circular patterns to mimic the exterior saw-cuts. 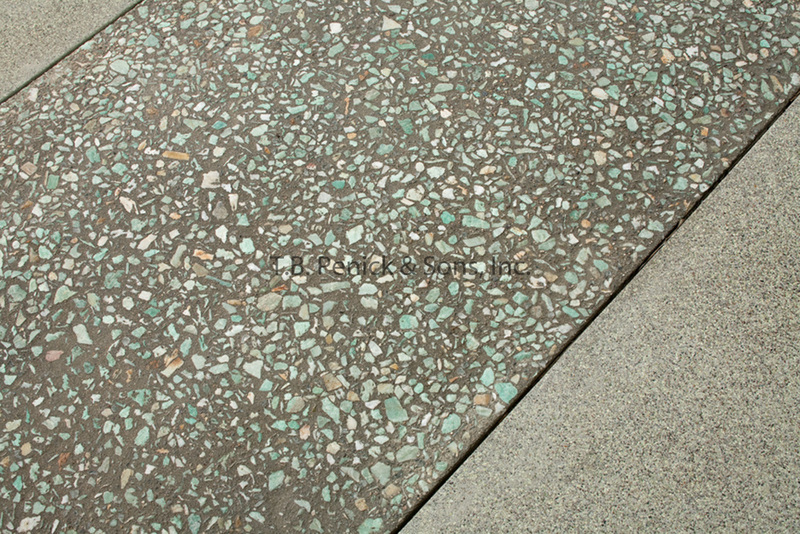 Each floor also features polished concrete countertops in the restrooms and the main cafeteria. 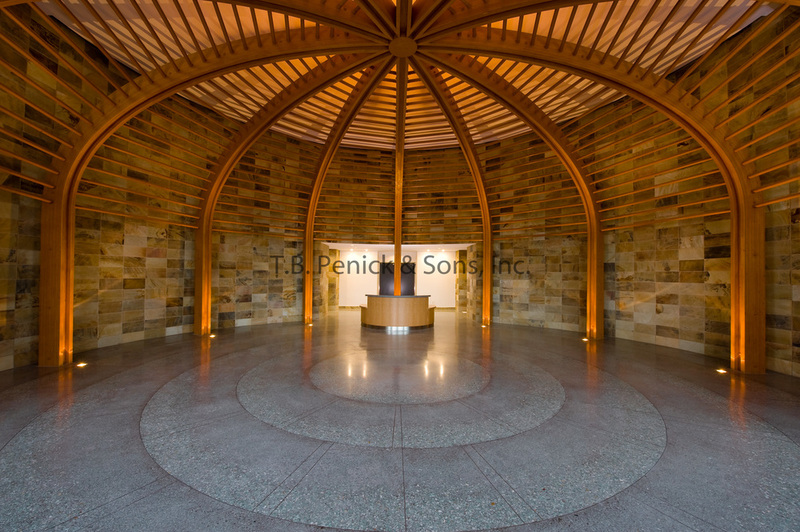 This project is seeking LEED Silver certification from the U.S. Green Building Council.